Doug O'Connor has served as Associate Lecturer of Saxophone at the University of Wisconsin in Eau Claire, as saxophonist with the United States Naval Academy Band, and is currently employed with the United States Army Band, "Pershing's Own." He holds a BM from the University of Maryland in addition to MM and DMA degrees from the Eastman School of Music. 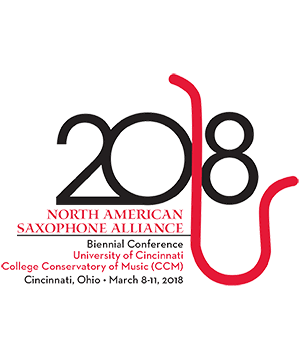 Praised for his "seamless technique" and "sumptuous lyricism" (The Philadelphia Inquirer), saxophonist Doug O'Connor has performed across Asia, Europe, and the U.S. He was the Second Prize winner of the 2nd International Jean-Marie Londeix Saxophone Competition, the the winner of Astral Artists' 2003 National Auditions, and was a finalist for the Concert Artists Guild competition in 2009. Dr. O'Connor is a co-founder of the Global Premiere Consortium Commissioning Project, an online platform for instigating the composition, dissemination, and performance of new music worldwide.